1. The drug's chemistry must be known and reproducible. 2. There must be adequate safety studies. 3. There must be adequate and well-controlled studies proving efficacy. 4. The drug must be accepted by well-qualified experts. 5. Scientific evidence must be widely available. Click the image to access SAM's website. SAM = Smart Approaches to Marijuana, is an alliance of organizations and individuals dedicated to a health-first approach to marijuana policy. The article is the report card for Colorado so far in their marijuana legalization journey and early data is revealing troubling developments! 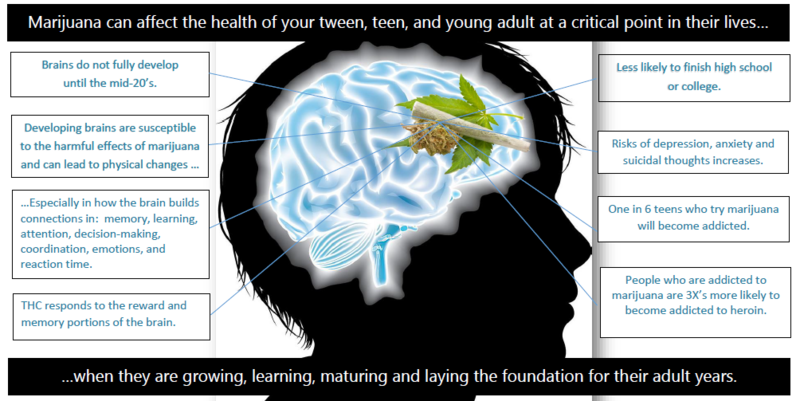 Check out this book by Kevin Sabet, president of Smart Approaches to Marijuana. From 2009-2011, he served in the Obama Administration as Senior Advisor at the White House Office of National Drug Control Policy. 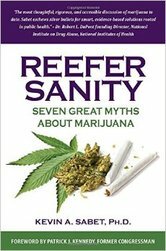 In the book Reefer Sanity, Sabet digs deeper into the seven great myths about marijuana. Click the image to access the document. The Rocky Mountain HIDTA Marijuana Impact, Update Report Vol. 5, September 2018. The first impact reports produced that provide clear findings and supporting data to allow citizens and policy makers alike to look valid data on the impact that legalization of marijuana has had in Colorado. The report analyzes marijuana production, distribution and consumption in Oregon from socio-economic, public health and law enforcement perspectives. A published report detailing the effects on Colorado of marijuana’s legalization. This report covers significant topics such as impaired driving, changing use rates, and the diversion of marijuana outside the state. ​A new report was published on the legalization of marijuana in Washington. The report discusses the state’s regulatory system, as well as detailing effects on the state, including environmental harm, impaired driving, and diversion of marijuana. The Rocky Mountain HIDTA has released a supplement to their 2016 evaluation of marijuana’s impacts on Colorado. This new report includes updates to the information featured in the 2016 report. ​"The term 'seed to sale' is often thrown around when discussing tracking marijuana products, but many people are unsure what it means or entails. The NMI’s Deputy Coordinator Dale Quigley has written a brief paper explaining the term and the process involved. The paper also includes a description of different types of tracing systems, and the pros and cons of the seed to sale idea." A report was published on the impacts of marijuana in the state of California. All four California HIDTA offices contributed to the report, which has excellent information regarding the current impacts of marijuana, as well as the potential impacts on the state of further expanding access to marijuana.